Instagram was founded in 2010. If you are one of those users who has been using the social media service for long, you would have noticed that you cannot view, leave alone download the profile picture in full size. The maximum you would be able to get would be the small circle with the profile picture in it. Are you frustrated with the limitation and looking for ways to find a way to view and download the Instagram profile picture in full resolution? We came across a web tool that would be helpful in achieving it with ease. 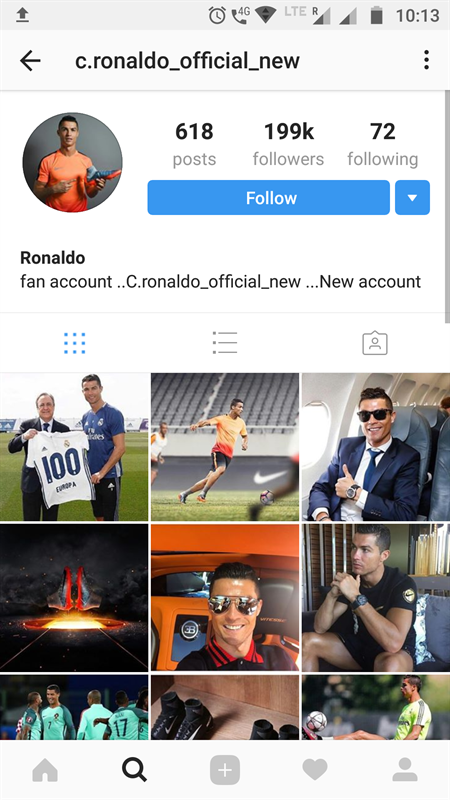 Well, there have been a few apps and web portal services that were developed making it possible to view and download the Instagram profile picture in full resolution. Instagram does not allow it for the reasons best known to it, and as a result, most of these tricks were blocked with the API changes. Even then, a few services and apps have made the necessary API changes in their code and the functionality has been brought back. However, we would not be able to predict the time frame for which the service would continue to work. 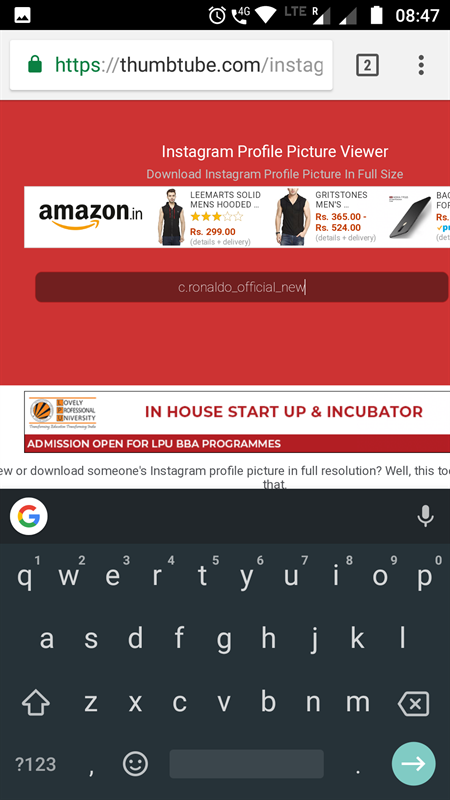 With that background, we are glad that we chanced upon a tool that is capable letting you view the full size Instagram profile picture of any member. Instagram Profile Picture Downloader is a service specifically designed for the purpose that it is meant for. The simple interface and functionality would be what would make it a great option. 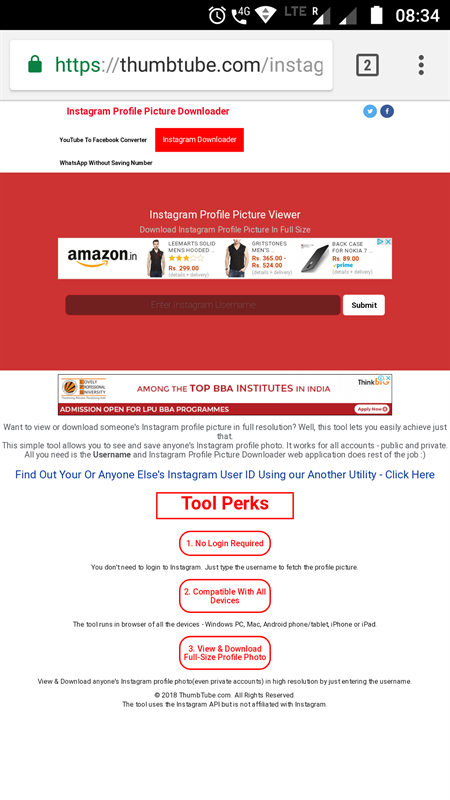 Follow the steps here below to view or download the Instagram Profile Picture download. Launch Instagram on your Browser on your mobile, PC or Mac. Move to the profile picture of any member of your preference. You can either do it by checking one of their posts or by searching for the member name. Copy the username of the member. Once you are aware of the username, go to Instagram Profile Picture Downloader. On the tool interface, paste or type in the username of the member. The service will pick up the profile picture of the memeber and display it. You have the option to either Download or View. That would do it. 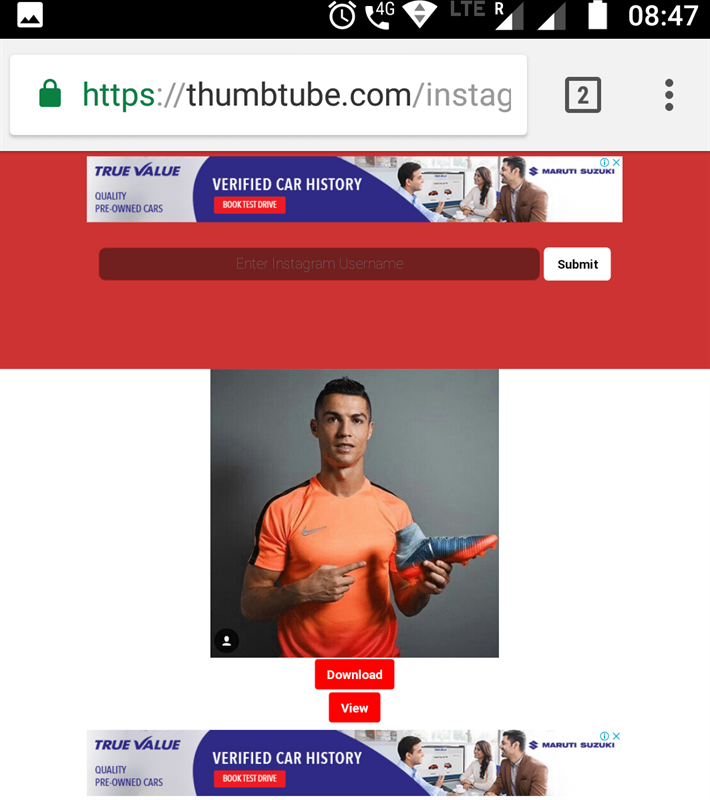 Wasn't that simple enough and easy to use option for your needs in viewing or downloading the Instagram profile picture for your preferred memebrs. The great thing about this web tool is that you don't need to register for this service, you can open the web page and download the Instagram profile picture in full resolution directly. The software is compatible with almost all devices as it works through the web portal. Wasn't that the wonderful tool for helping you download the Instagram profile picture of any of your preferred members. Ability to download the profile pictures of even those members whom you are not following should be one of the additional features that would make it an exceptional choice. Please note that the option to download or view the Instagram profile pictures is completely dependent upon the API and Instagram may decide to block the functionality at any time. In fact, we would expect Instagram to bring up the feature on its own soon. Until that happens, we would need to depend on the third party tools alone. We assume the tips offered in this post would have been helpful enough.